Virginia’s dance was rhythmic, a short phrase with balancés and chaînés. She ran to the other side and began again, her face open and lifted. She transitioned into an adagio that rolled through her spine and extended out into space. In particular, I could not take my eyes off of her fingertips. They drew the space with subtlety and dexterity. Precise, soft and never tense, her fingers seemed to float around her. I started training in New York City at age 15 in high school and then continued through college. My foundation started at Sarah Lawrence College under Bessie Schonberg. 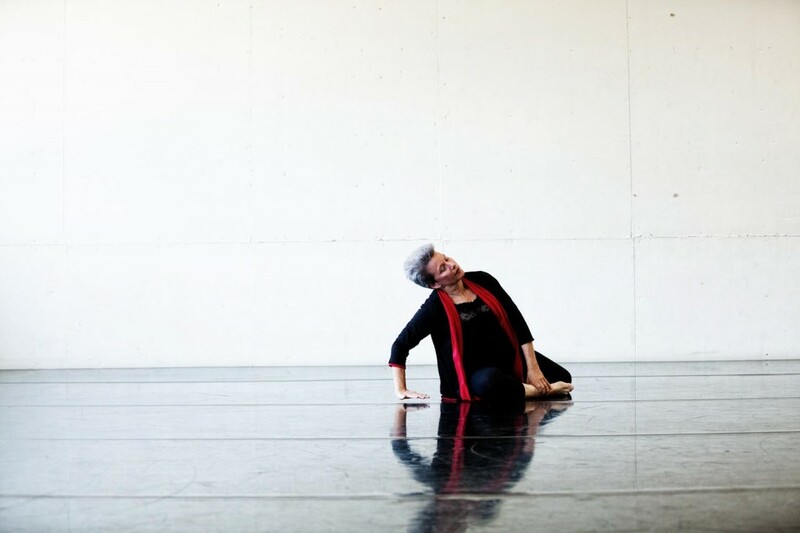 She’s considered one of the great dance mentors. That was where I became captured by the art of dance in its fullness, not just performing, but creating and expressing the individual spirit. Concurrently, I was studying at the Merce Cunningham Studio. That’s where I met Margaret Jenkins before she moved out to San Francisco. I was getting tired of New York. I had visited California and I figured, well there’s one good teacher out there–Margy! My husband–we got married out of college–was willing to go, and I arrived just when Margy was starting a company, so I was a founding member. I was with her company for about eight years. 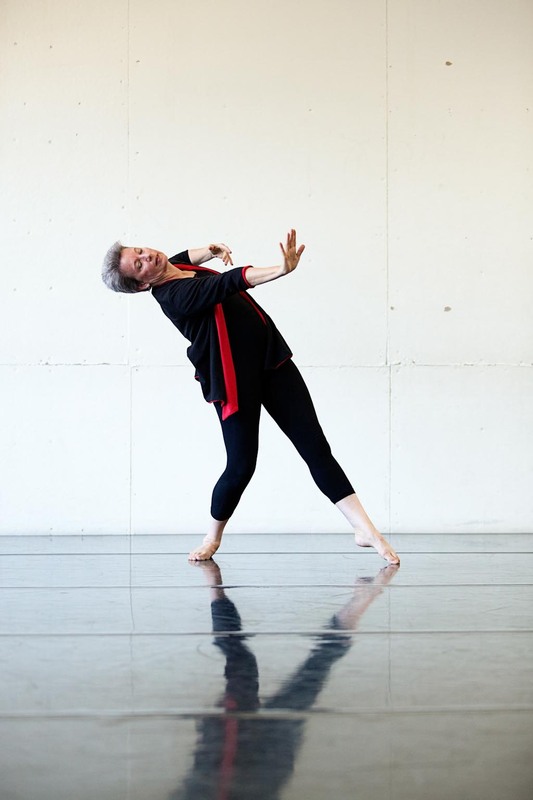 I left to start a duet group with a former Cunningham dancer, Karen Attix, called Dances for 1 and 2. We toured all over the place, including Israel, Turkey and Austria. We did that for about two years and then she became pregnant. Then I started my own company, the Virginia Matthews Dance Company. And then promptly I became pregnant. I tell people, don’t ever start a dance company and a family at the same time; they’re two full-time commitments. But I ran my company for about four years until I had my second child and two other members of my company became pregnant. It was a natural stopping place. 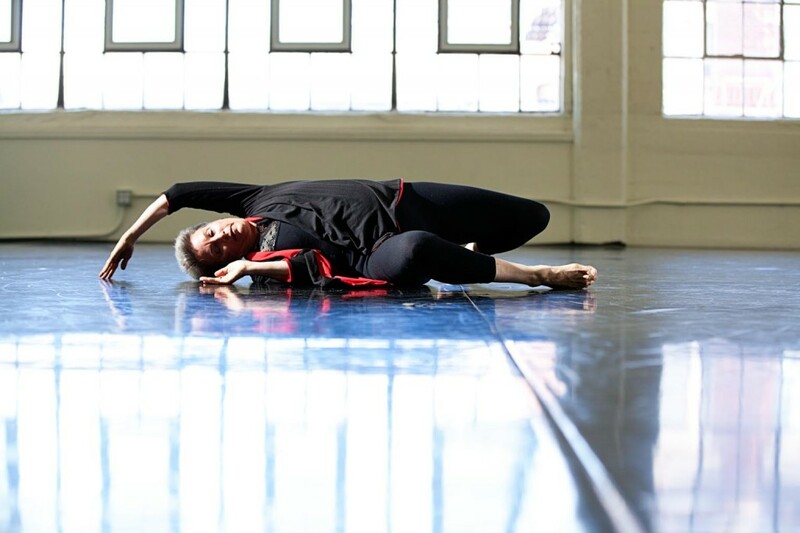 I’ve continued to choreograph and perform solo work, first in San Francisco and then in Sonoma County. I banded with a group of other choreographers and created a collective called SoCo Dance Theater, and that’s been my performing outlet for the past four or five years. Looking back, there’s only been a year or two I didn’t perform, even through my pregnancies. I’m truly addicted. 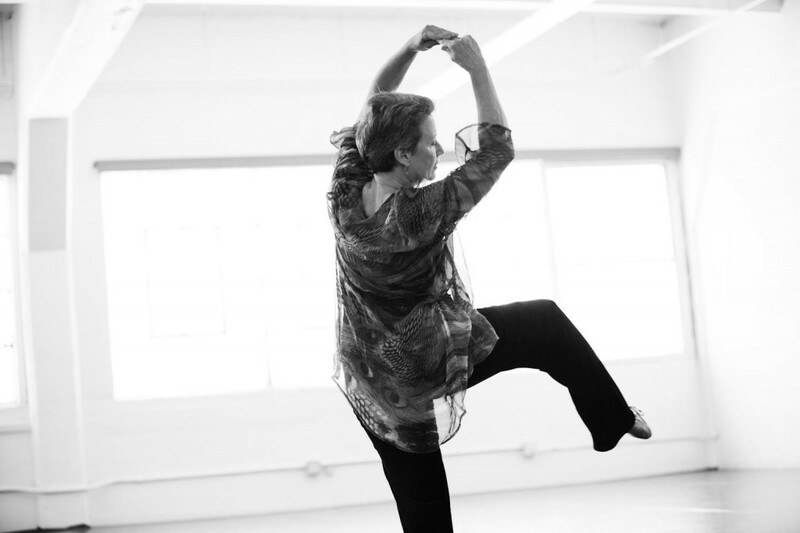 I give myself a class–an improvisational stretching session–on the days I’m not teaching. And I always take Sunday off, so Monday through Saturday I’m moving in some capacity. I have a little studio in Sebastopol I’ve supported for a long time now. It’s not easy; I rent it out to other people. But it gives me space. It’s that room of one’s own Virginia Woolf talked about. Otherwise, I’ve been in a 40-year meditation practice. I meditate daily. I consider meditation part of what helps me stay active. It feels regenerative. It’s continual growth. I always figured at one point I would stop. It would stop being new or the aches and pains of the body would outweigh the benefits, but it hasn’t happened yet. Dance is like a mirror reflecting back to me where I am physically, emotionally and psychically. And I feel so good! I must say that being in my 60s, I’m not worried about my weight, my technical proficiency, my career or if I’m being recognized. Now I just focus on how I feel. Do you feel like you’ve achieved some measure of success? If you look at my career, you might see a lot of failure. I left Margaret Jenkins’s company right before it took off. I ended two dance companies because of extenuating circumstances. I made choices that were more about family as opposed to career. But I consider the fact I’ve gotten to do something I love for so long; on those terms I definitely feel I’ve succeeded. One aspect is serving my community. I’ve served as chair for the Isadora Duncan Awards for three out of seven years on the committee. I was on the original board of directors for The Dance Coalition in the ‘70s. I’ve always felt like serving the health of the dance community as a whole went along with my career. How much longer do you expect you’ll keep dancing? Until I can’t. I actually attempted to change my career in 2006. I decided I was getting older and teaching was taking a toll. And since I am ordained in my Buddhist Sangha, I contemplated chaplaincy. I took a course in Buddhist chaplaincy to test the waters. I finally said, “I can’t do this. I don’t love this, but I do love dance.” So I’m just going to have to keep dancing until the body says no or something else turns me in a different direction. Chaplaincy has the potential to be a place of growth and evolution for me, and I might turn in that direction again, but not right now. 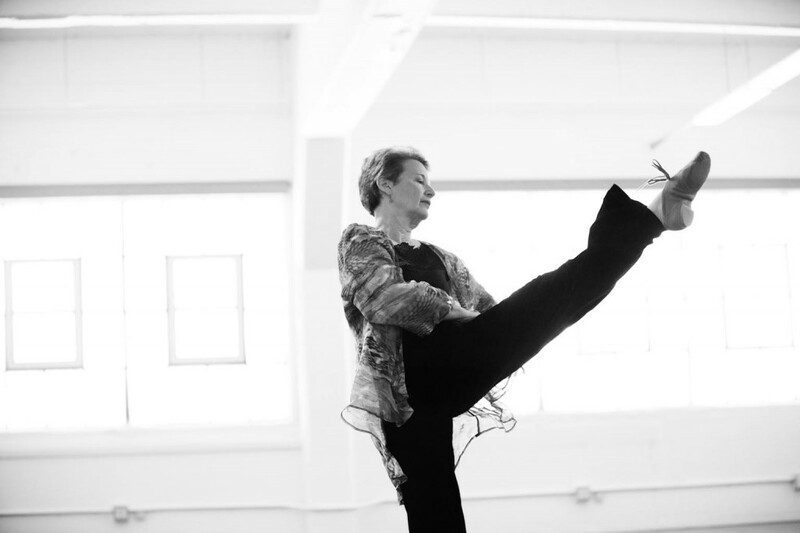 What advice would you give to the next generation of dancers? Listen to your body. I have been so fortunate that–and one of the reasons I’m still dancing now–I’ve never sustained a major injury. I never asked my body to do anything I knew wasn’t right for it, and my choreographers never asked that of me either. Dancers should be able to stand up for their own self-knowledge and self-trust of their instrument, and I don’t see that happening often enough. I’ve studied under Martha Graham, Merce Cunningham, and José Limón via Betty Jones to name a few, and my body’s been shaped by that training. My students are conversely shaped by me. Legacy lives in the bodies of dancers. We hold whole communities in our bodies, and in this way we move beyond the present moment.